Handing money to someone on the street provides temporary relief, but donating to an organisation means your money goes further in supporting the most vulnerable people in society. Australia is widely viewed as a land of opportunity, but for an increasing number of people it is a place of hardship that leads to homelessness. On Census night in 2016, 116,427 people in Australia were homeless – a 14 per cent increase from 2011. Homelessness is often understood as ‘rooflessness’ – people who find shelter wherever they can: under awnings on the street, below bridges and in our city’s green spaces. But these rough sleepers made up just 7 per cent of Australia’s homeless population in 2016. The remaining 93 per cent live in temporary accommodation such as homeless shelters and boarding houses or couch surf from house to house. Most live in severely overcrowded dwellings (where four or more extra bedrooms are required to adequately accommodate residents of the household) – a group of more than 50,000, accounting for 43 per cent of all homeless people in 2016, a 23 per cent rise since 2011. “There is a wide diversity of people who become homeless and we see many people turn to us for help for many different reasons – broken marriages, disabilities, domestic violence, mental illness or breakdowns,” says Salvation Army spokesperson Mitchell Ryan. Why is homelessness getting worse? The rise in homelessness over the last 10 years can be largely attributed to the lack permanent affordable housing and increases to the cost of living, says Ryan. Salvation Army’s 2018 Economic and Social Impact Survey (ESIS) found that “soaring power and utility prices, transport costs and basic essentials imposed enormous financial burdens” on households who sought assistance from the organisation’s emergency relief services. It also found that more than four in five households experienced extreme housing stress and paid more than 50 per cent of their income on housing costs. Increasingly, income support and government allowances such as the Newstart Allowance do not cover the cost of living, especially in our major cities. The ESIS found that after paying rent or other housing costs, respondents were left with just $21 per day to live on. Almost all of those who responded to the survey were living below the poverty line. “Without the generous support of the Australian public, we would not be able to continue to run our vast network of social services, which helps over one million Australians every year,” says Ryan. Handing money to someone on the street is helpful, and provides temporary relief, but donating to an organisation means your money goes further in supporting the most vulnerable people in society, says Ryan. “That donation could be used to pay for a number of people’s accommodation, or connect someone with their family or loved one, or provide necessary school equipment for a young person who is homeless." Get involved with some of the organisations supporting our most vulnerable. The Salvation Army is one of the largest social welfare organisations in Australia. In a typical week, the Salvos provide over 17,000 beds for those suffering homelessness, 40,000 meals for the hungry, 1400 financial counselling sessions, and refuge for over 100 women affected by domestic violence. You can find The Salvation Army in city streets, on rural farms, and in suburban centres, bringing hope where it’s needed most. For more information, head to salvos.org.au or call 13 SALVOS. The Australian Red Cross believes that everyone deserves a home that is safe, secure and affordable. In an average year, Red Cross helps 2180 people to find housing, supports 1360 people at risk of becoming homeless, and provides 43,400 meals to people experiencing hardship. You can find more information on their website. Mission Australia is a national non-denominational Christian charity that helps Australians move towards independence. Their work to reduce homelessness includes specialist support services that enable people to avoid and escape homelessness, crisis and transitional accommodation and social and affordable housing. To donate, visit their website or call 1800 88 88 68. Part of the Uniting Church in Australia, Parramatta Mission provides meals, accommodation, hospitality and mental health services across the Greater Western Sydney area. They provide over 70 services to those who are homeless, at risk of homelessness, those facing crisis and those living with mental illness. Head to their website to make a donation. St Vincent De Paul Society has more than 60,000 members and volunteers across Australia, working to combat social injustice and assist people facing disadvantage. Vinnies offers everything from homeless services to refugee assistance; from support for those living with a mental illness to employment services for people with disabilities. Vinnies are able to do this thanks to the generous support of the public, through Vinnies Shops, and much more. Find out how you can help by visiting their website. Refugee Advice and Casework Service (RACS) is one of Australia’s leading refugee legal centres providing free, specialist legal assistance for financially disadvantaged and vulnerable people seeking asylum and family reunion. More information can be found on their website. 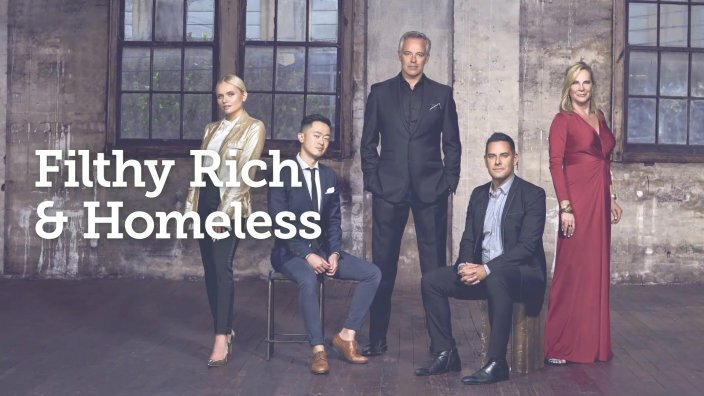 Orange Sky Australia has a simple formula; they provide a platform for every day Australians to connect through a regular laundry and shower service. The focus is on creating a safe, positive and supportive environment for people who are too often ignored or who feel disconnected from the community. Orange Sky volunteers are not social workers or experts on homelessness - they are empathetic listeners. Head to their website to donate, volunteer, or find out more about the work they do. Sydney’s Wayside Chapel provides outreach programs to support those dealing with addiction, referrals for short and long-term crisis accommodation and housing, weekly legal, health and counselling clinics, not to mention running cafes in Bondi and Kings Cross that provide low-cost meals. To ensure Wayside Chapel is able to keep their doors open, you can sign up to volunteer, join their Inner Circle or donate. My Foundations Youth Housing is a community housing initiative that provides accommodation for young people aged 16-25. Currently operating in Sydney, and other regions in NSW, they help secure safe and affordable housing for those who are homeless or at risk. Visit the website for more information on how to apply for housing. Kids Under Cover provides young people at risk of homelessness the foundations to strengthen their connection to family, community, and education. They support vulnerable and disadvantaged young people between the ages of 12 and 25 years, who are either already homeless or at risk of homelessness. Studio accommodation is placed in the backyards of homes providing a secure and stable space for young people at risk of homelessness and scholarships are provided to keep young people connected to education or training. With centres in Penrith, Katoomba, Springwood and Richmond in NSW, Platform Youth Services provides support for young people at risk of homelessness. They offer specialist services including food, accommodation and financial support, and 24-hour crisis support. Visit the website to find out how they can help you, or to make a donation. Lifeline provides around the clock support for people in crisis, with a 24-hour hotline and suicide prevention services. Visit the website to find out how you can donate or volunteer, or call 131114 for immediate support. Beyondblue provides information and support to help everyone in Australia achieve their best possible mental health, whatever their age and wherever they live. They equip Australians with the knowledge and skills to protect their own mental health and give people the confidence to make anxiety, depression and suicide part of everyday conversations. As well as tackling stigma, prejudice and discrimination, beyondblue is breaking down the barriers that prevent people from speaking up and reaching out. A nation-wide campaign, Everybody’s Home is advocating for change to Australia’s housing system. Their national housing strategy includes better rights for renters, relief from chronic rental stress and a plan to end homelessness by 2030. Head to their website to take part in their campaign or to find out more information. Homelessness Australia is the peak national body advocating for the country's homeless. While they don't provide direct accommodation or client services, they work with a range of organisations for a unified response to homelessness. If you are experiencing homelessness, you can find more information on where to seek help on their website. The Council to Homeless Persons is the peak body representing organisations and individuals committed to ending homelessness in Victoria. Head to their website for the services available and how you can take action. The Mercy Foundation is working towards systemic change to end homelessness. The Foundation funds and supports communities and organisations who are using effective housing related strategies to end people’s experience of homelessness. Head to their website for more information. "I am no longer telling myself that I am a useless, homeless, junkie bum. I am part of the running community"
These running squads help the homeless find their feet. If you see somebody sleeping rough, it can be tempting to avert your gaze. We used to be ranked third of giving countries, but that has changed.